The most interesting part of dining at Saboten, is that you have to DIY. 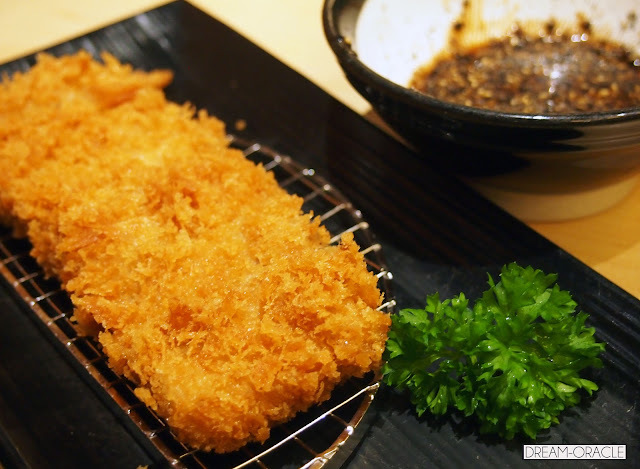 The tonkatsu sets comes with a bowl of sesame which you have to grind by yourself. 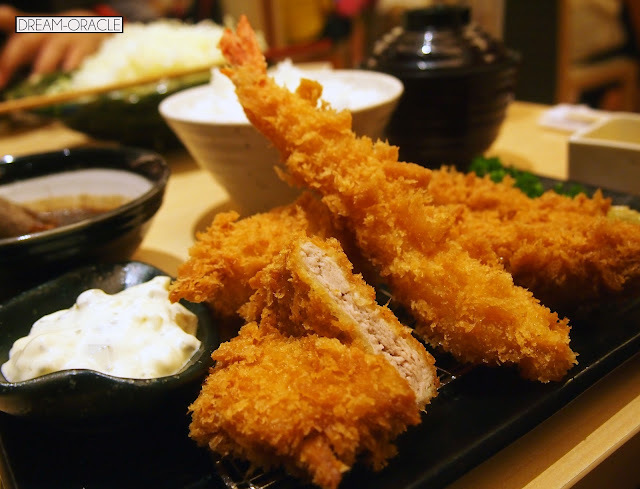 The tonkatsu sauce is made available on all tables, and you add the sauce into the sesame. This constitutes as the dipping sauce for your tonkatsu later. The cabbage starters come to you dry, and you can add your own dressing. There are two bottles available on every table as well - one is a sesame dressing while the other is a yuzu with soy sauce dressing. I added both but was slightly more heavy-handed with the sesame dressing. Yumm, I do love Japanese sesame dressing. Sweet and salty, it's such a refreshing flavour that it really whets my appetite. Delish. There was a mad struggle to decide between the loin or tenderloin dishes. We resorted to Google to check which was more tender. Tenderloin won. I really liked the plum dipping sauce, very refreshing. It's a sweet, salty dipping with crunch because of the sesame seeds that we have to grind. I forgot what's the name of this dish. It has some complicated word in there. But essentially this is breaded pork loin, tempura lotus root, sweet potato, okra, broccoli with sweet Japanese curry. I've been craving for curry and this really hit the spot man. Sweet sweet Japanese curry. The ultimate comfort food! I must say it looks absolutely delicious. I was just worried that I couldn't finish this so I skipped out on this. Must try next time though! Creamy crab croquette sounds absolutely divine. 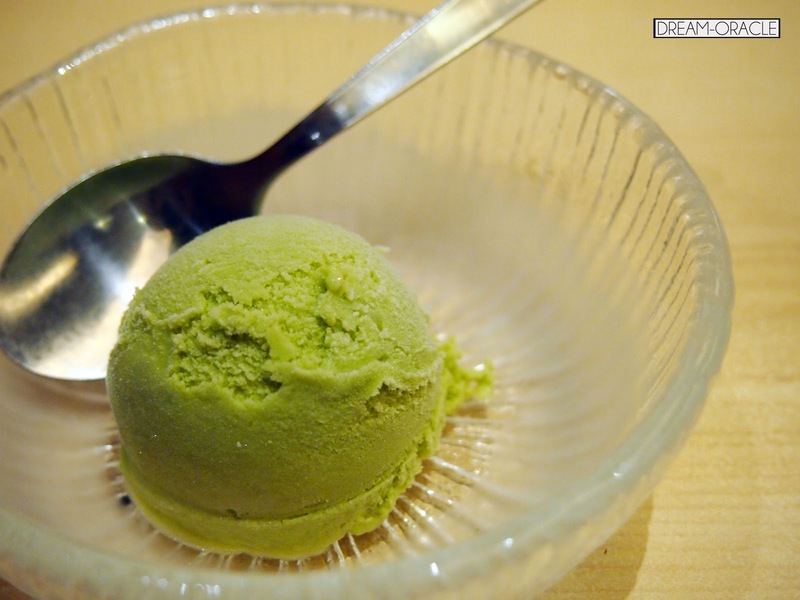 Every set meal comes with a miso soup, a cabbage starter and a scoop of matcha ice cream. The cabbage starters and miso soup are of unlimited servings. EAT ALL YOU WANT. Actually if you have a normal size stomach, you won't be able to put away that much cabbage and soup anyway. But it certainly gives the impression that Saboten is very generous. 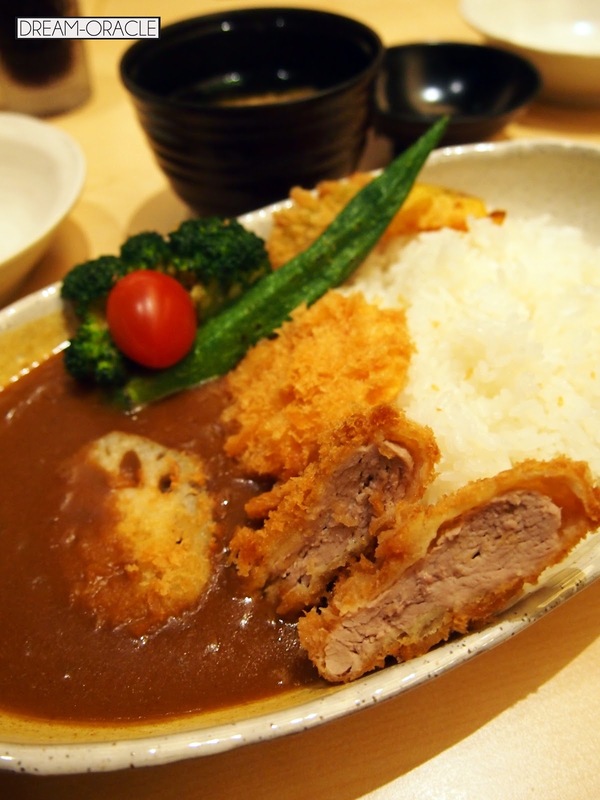 I'm giving Saboten 5 Charlottes because, they have one of the best tonkatsu and curry I've ever eaten! Thumbs up for the generosity, unlimited hot green tea refills is something I haven't seen in a Japanese restaurant for a very very long time. Keep up the good work Saboten!